The Mastercard® Black Card™ is one of three options in the Luxury Card offerings from Mastercard, along with the Mastercard® Gold Card™ and the Mastercard® Titanium Card™. Of the three, the Mastercard® Black Card™ is in the middle in terms of annual fee and benefits. The Mastercard® Black Card™ is a high-end card and is a great addition to your wallet if you live a high-end lifestyle and travel frequently, allowing you to take full advantage of the benefits available. It carries a $495 annual fee and a $195 fee for additional cards. However, those fees are more than covered by the slew of attractive perks offered. These include a $100 annual travel credit that can be used for airline tickets, baggage fees, upgrades, etc. There is also a $100 statement credit that covers the application fee for Global Entry (a program that allows expedited arrival into the USA from international locations) and TSA Pre✓®. Mastercard® Black Card™ cardholders are enrolled in the Luxury Card VIP Travel program, providing perks such as room upgrades and complimentary food, beverage, and spa credits at more than 3,000 properties across the globe. Also included in the VIP Travel program are car rental privileges, cruise privileges, charter services, chauffeured transportation, and airport meet and assist. The VIP program also gets you into more than 1,000 lounges at airports in more than 500 cities. The rewards program for the Mastercard® Black Card™ is fairly straightforward. Cardholders earn one point for each dollar spent. Unfortunately though, there is no sign-up bonus to get the ball rolling. However, when it comes time to redeem your points, you have a couple of options. Redemption for airline travel is worth 2%, while redemption for cash back is worth 1.5%. Cardholders also have access to a 24/7 concierge service that tailors options to your personal tastes. It can help you put together a luxury travel itinerary, help you find unique and impossible-to-find gifts, and more. The Mastercard® Black Card™ has a variable interest rate of 17.24% Variable. There is 0 percent APR on balance transfers for 15 months but there is a fee of $5 or 3%, whichever is greater. The APR for cash advances is 27.49% plus a fee of $10 or 5%. Again, whichever is greater. There is no fee for foreign transactions. Enjoy access to luxury benefits with your brushed stainless steel card, such as an annual $100 airfare credit to offset incidental charges. Redeem your points for airfare at a 2 percent value – that means that 50,000 points are worth a $1,000 flight. Take advantage of 15 billing cycles of no interest on balance transfers made within 45 days of account opening. While this card comes with plenty of luxury perks, you'll pay for them. The annual fee isn't for everyone and you'll pay for each authorized user, too. If you won't put the perks and features to good use, consider a lower annual fee or even no-annual-fee option. For frequent travelers, carrying the Mastercard® Black Card™ offers the type of perks and benefits that will make sure you are treated like a VIP: shorter wait times when dealing with TSA and customs, access to special VIP lounges, upgrades on airlines and at hotels, etc. What truly grabs our attention though is the 24/7 concierge service that is worthy of the name. Are you finding it impossible to get a Christmas gift for your child? Do you need tickets to that "must-see" show for important clients? How about help putting together an over-the-top luxury itinerary for a special anniversary trip? Solutions are just a phone call away. A rewards program that is straightforward and offers options for redemption is always a welcomed feature for cardholders as well. The 1:1 points to dollars spent ratio isn't spectacular but there are no limitations on qualifying purchases. If you use your card, the points will add up. When you choose to redeem your points, you have the option of redeeming for air travel vouchers, worth 2%, or cash back as a statement credit, worth 1.5%. That means 75,000 miles are good for $1,500 in travel, or $1,125 as a statement credit. The $495 annual fee and $195 fee for additional cards are substantial. If you aren't sure you'll be doing a great deal of traveling and won't be able to take full advantage of the benefits offered, it might not be worth the expense. While the rewards program is very good, though not eye-popping, the lack of any type of sign-up bonus as an incentive to make that initial investment is unfortunate. As a consumer, it's always nice to be offered some type of enticement to make you feel wanted. There are significant differences between these cards, starting with the fact that, as a charge card (as opposed to a credit card), the American Express® Gold Card does not allow an account balance to carry over from month to month. The American Express® Gold Card has a lower annual fee at $250 (See Rates and Fees) versus the Mastercard® Black Card™'s fee of $495. 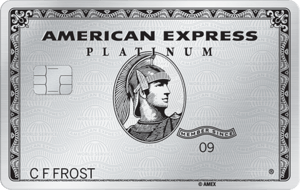 The American Express® Gold Card has an introductory bonus offer of 35,000 Membership Rewards points after spending $2,000 in the first three months of card membership. The Mastercard® Black Card™ has no introductory offer. The rewards program for the American Express® Gold Card is multi-tiered, with four points earned on U.S. supermarket and restaurant purchases (up to $25,000 each year), three points on flights booked directly with the airline or via AmexTravel.com, and one point on everything else. The rewards program for the Mastercard® Black Card™ is one point for each dollar spent across the board. Both cards offer a $100 airline fee credit each year, though only charges with your pre-selected airline are eligible with the American Express card. The Mastercard® Black Card™ has an interest rate of 17.24% Variable, while the American Express® Gold Card has no interest rate, as full payment is required each month. While the annual fees are similar ($495 versus $450), there are notable differences between these cards. The Mastercard® Black Card™ helps to offset the annual fee with a $100 annual travel credit, while the Chase Sapphire Reserve® offers a $300 annual travel credit. Both cards offer access to special VIP lounges at airports across the globe. In terms of rewards programs, the Mastercard® Black Card™ has no introductory bonus offer and awards one point for each dollar spent on all purchases. Chase Sapphire Reserve® offers three points for each dollar spent on travel and restaurant purchases and one point on everything else. It also offers an introductory bonus of 50,000 points if you spend $4,000 in the first three months you have the card. When it comes time to redeem your points, Mastercard® Black Card™ redeems points at 2% for airline travel and 1.5% for cash back. 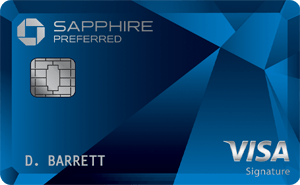 Chase Sapphire Reserve® redeems points at 1.5% for travel and 1% for gift cards or a statement credit. The Mastercard® Black Card™ has an interest rate of 17.24% Variable variable, compared to 19.24% - 26.24% Variable (depending on credit worthiness) for the Chase Sapphire Reserve®. When it comes to rewards points, the Barclaycard Arrival Plus® World Elite Mastercard® credit card awards two points for each dollar spent on all purchases, plus 70,000 bonus points for spending $5,000 in the first 90 days you have the card. The Mastercard® Black Card™ awards one point per dollar spent on all purchases, with no introductory bonus offer. However, this difference in points awarded is offset by a significant difference in redemption value. The Barclaycard Arrival Plus® World Elite Mastercard® redeems at just 1% for travel and .5% for cash back. Mastercard® Black Card™ redeems at a full 2% for travel and 1.5% for cash back. It should also be noted though that the Barclaycard Arrival Plus® World Elite Mastercard® offers 5% miles back each time you redeem. So say you redeem 50,000 miles, you'd get 2,500 miles back to put towards your next redemption. Both cards offer complimentary concierge services, as well as discounts and upgrades at certain hotels and airlines. However, the Mastercard® Black Card™ offers more luxury perks. Lastly, the Mastercard® Black Card™ has an interest rate of 17.24% Variable, compared to 18.24%, 22.24% or 25.24% Variable based on your creditworthiness for the Barclaycard Arrival Plus® World Elite Mastercard®. The Mastercard® Black Card™ can be a nice addition to the wallet but only for a specific type of consumer. To be approved for the card you will need good to excellent credit, and to take advantage of the full benefits of the card, you should be a frequent traveler who spends a significant amount of money each year on luxury items. If you are a frugal spender with a modest income, you will miss out on many of the benefits of this card and will likely find the $495 annual fee to be prohibitive.